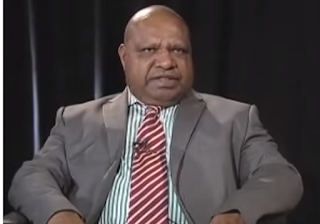 SOUTHERN Highlands Governor William Powi is urging leaders, government institutions and people to leave their petty politics and rally behind Prime Minister Peter O’Neill. He said O’Neill has raised the profile of the country internationally. Powi said instead of playing politics, the country should get behind him and the Government to deliver high-profile world leaders’ meeting like the ACP meeting in Port Moresby this week. Powi said the recent invitation for O’Neill to observe the G7 leaders’ meeting in Japan last week was a rare occasion and a big achievement for PNG. “Papua New Guineans should think globally rather than being confined to minor issues in the country. “The prime minister has also travelled extensively and attended important leaders’ meetings like the COP21 summit and is hosting important meetings in the country,” he said. Powi said the hosting of the ACP reflected the kind of leadership provided by O’Neill.